Automobiles are powerful, complex ways of transportation. Because of the size and popularity of the car industry, many myths exist. It’s easy to save a lot of money by simply knowing what’s true and what’s false. Follow these tips, so you can save your extra money for gas and vacations. Shifting your car to neutral at a red light does more harm than good. It won’t save you any considerable amount of gas. You should always leave your car in drive, because your injectors are off when your aren’t pressing on the accelerator. More importantly than saving gas, it’s not safe to constantly shift to neutral. In heavy traffic, it increases your chances of an accident. Your ability to speed up at any given point is crucial. And, shifting to neutral can cause unnecessary wear on your transmission, and potentially ruin it. You definitely don’t want that. It’s not the car you drive, but how you drive it. Yes, driving a red, flashy car will get you noticed more. That just means you have to drive it with the same respect as the other cars on the road. Make sure you don’t have anything else on your car that may be illegal – such as completely black tinted windows. If a cop is following you, make sure to keep obeying the rules of the road. Don’t make any silly errors and you’ll be fine. You’ll like your insurance bill on that sports car a lot more if you keep your record clean. Warming up your car isn’t important. In the old days, it was crucial to go through that process. Nowadays, it’s pretty much useless. It can waste gas, let out fumes, and result in a plugged converter. Cars built today have electronic fuel injection, which allows more fuel to run through the engine. In other words, starting your car up and driving it will not give it any unnecessary stress. If you’d still like to warm it up, it’s not the worst thing ever. It is nicer to get into a warm car with a hot cup of coffee, after all. First, check your owner’s manual. Some luxury vehicles are supposed to have premium gas. But, the overwhelming majority of cars on the road don’t require premium. If your car is supposed to have low octane fuel in it, then you’ll be ok with buying the cheapest gas. Paying more for premium gas in hopes that it’ll improve your fuel economy or performance on an average car won’t work. Most thieves aren’t going to try to steal a brand new Acura. In fact, a lot of thieves will go for older cars. 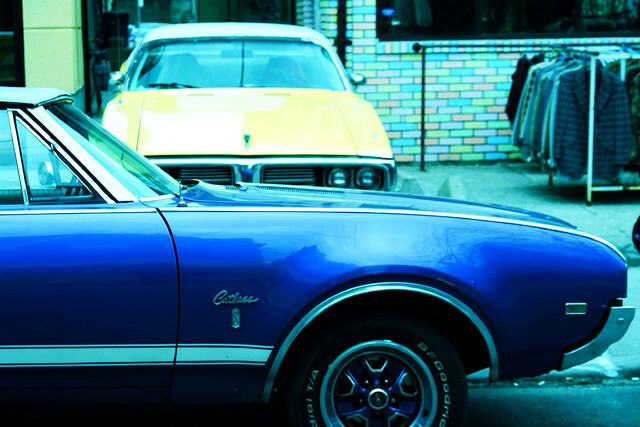 Even in 2013, the most frequently stolen cars are from the 90’s and early 2000’s. Honda, Ford, Dodge, and Toyota vehicles are often on the list. Why? Earlier models of these brands aren’t equipped with anti-theft technology. Also, cars are often stolen to sell the parts. Older parts are easier to sell. Angela Towne is a freelance writer and a car lover. Angela is fascinated with debunking popular car myths. She purchases all of her car needs from Hy-Per Lube.